Roll up banners are widely used for advertising and informational purposes, for example on exhibitions and trade shows. Although roll up banners have been around for a long time already, they are still very popular. This is not surprising when we have a look at the developments in quality of materials and printing techniques, making the structure strong and light at the same time, and the visual elements of high quality. It is up to you to make the most of roll up banner designs. 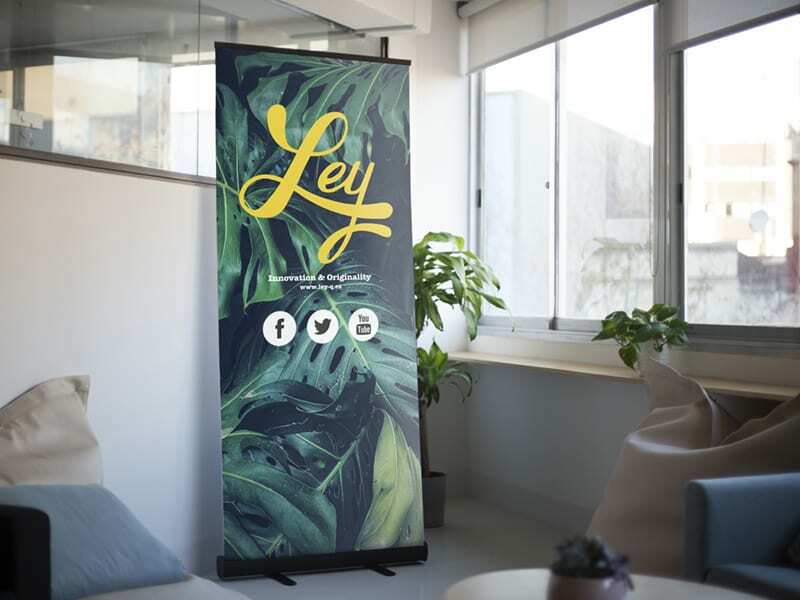 To help you get started and make the right impact with your message, we have put together 4 tips for you to design a roll up banner online. Using the right colours can grab the attention of your public. Being distinctive is a good thing, but you always have to keep colour use in line with your company logo and identity. Using colours in a consistent way in all your promotional items, for example on pens or T-shirts, can help your customers to easily recognise and remember your brand. Another important aspect regarding colours is to ensure the readability of the displayed information. The top of most roll-up banners is at eyelevel of an average adult person. You might know this concept from supermarket shelves; people’s attention is most likely drawn first by elements at eyelevel. 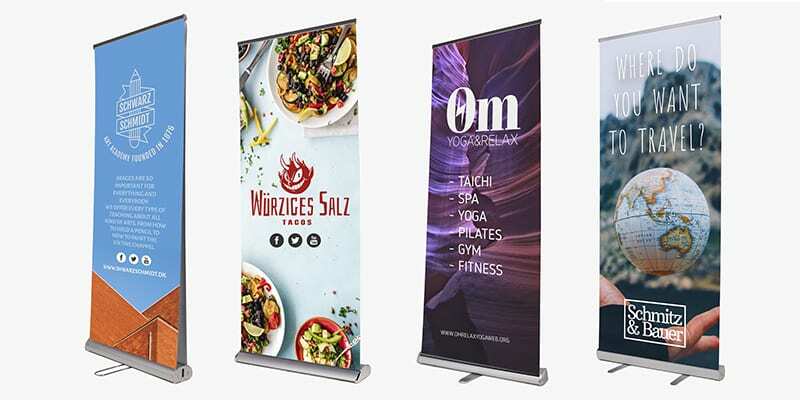 This is a perfect opportunity for you to imprint your company in your public’s mind by displaying your logo or another main message on top of the roll-up banner design. When we for instance check important notes in our notebooks, we are used to reading from left to right and from top to bottom. People scan and read banners in the exact same way. The difference is that the time spent on reading a banner is much less, so keep words to a minimum by only focusing on truly relevant information. Who doesn’t like visual elements like pictures? They are a great way to make your roll-up banner more attractive and to grab the attention of your target even more. To ensure that your pictures will be printed in high quality, the Camaloon validation team will check every roll-up banner design before the printing process starts. A banner stand should be treated like any other part of your marketing strategy. Think for example about who you want to reach, what your objectives are, and which message you want to spread. Did you already think about these aspects? Get started and create your own personalised products!